The Boiler Makers are back again for another “Burger & Beer for the Boiler” fundraiser for St. Saviour’s Anglican Pro-Cathedral. 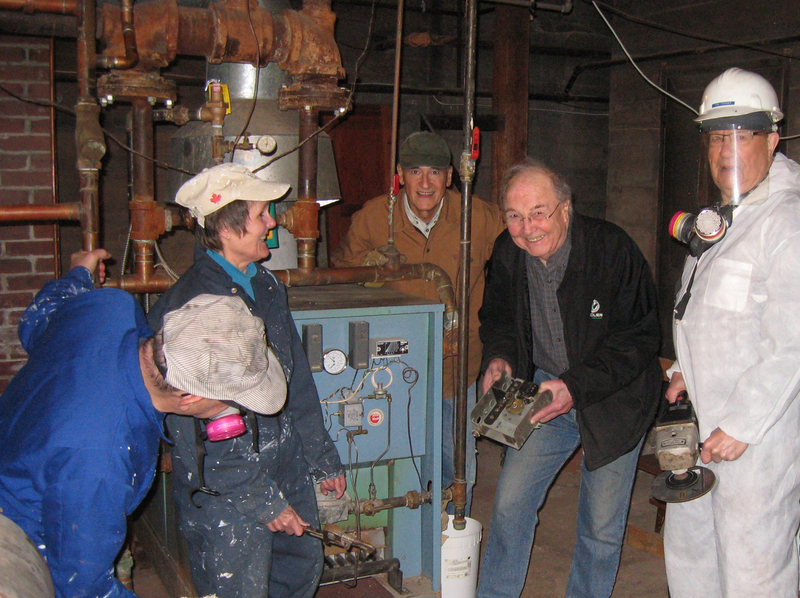 The boiler and heating system in this Nelson heritage treasure is reaching its end of life and needs replacing. As well, having committed to the 100% Renewable Kootenay Initiative, the Church wishes to upgrade the system to meet the 2050 target of reducing its greenhouse gas emissions to zero. In the past number of years the Church has been expanding as a multi-purpose space, which has been embraced by the local community due to its acoustics and intimacy. Hosting the Nelson Pro-Musica series, Kootenay Music Festival and Natasha Hall concerts as well as summer heritage tours, free movie nights, social justice workshops, interfaith climate action vigils and the Food Pantry food bank has furthered the need for dependable and sufficient heat. The Church is hoping that with ongoing fundraising and grant applications, they may be in a position to start work within the year. Help them push this enormous and costly project over the top by attending the “Burger & Beer for the Boiler” fundraiser on Thursday February 7 from 6-8 p.m. at Finley’s Irish Pub & Grill, 705 Vernon Street. For the sum of only $15 your ticket includes one of Finley’s famous burgers plus a beer, wine, high ball or non-alcoholic drink. A gluten free option is available. There will also be door prizes and a silent auction. Tickets are available at the door or in advance at the Church office. For information please call 250-352-5711.